When you have problems with the plumbing in your house, you may be tempted to fix those problems yourself to save some money. However, saving a little bit of money now can cost you in the long run if you don't have the necessary expertise. Here are 5 reasons to hire professional plumbers for your plumbing needs. Property Protection. A poorly done plumbing repair can cause leaky pipes, which can cause damage to other areas of your home, such as the floors. 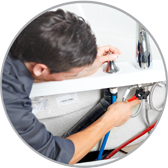 Professional Plumber in Chandler, AZ can get the job done without all the leaks. Safety. Some plumbing jobs, such as garbage disposal repairs, come with certain safety hazards. Plumbers are trained to assess these hazards and perform all plumbing jobs safely. Convenience. When you hire a Professional Plumber in Chandler, AZ, you don't have to worry about figuring out the problem by yourself. You can relax while you let them fix the plumbing problems in your home. You can also have the peace of mind that the work will be done correctly. Time. Professional plumbers can get plumbing jobs done more quickly than the average home owner. In addition to this, they can be sure to get it done right the first time so that the homeowner doesn't have to waste any more time on the same issue. Money. Plumbers know which parts are necessary, which saves you from spending money at the home improvement store unnecessarily. They can also complete the plumbing work without damaging other areas of your home, which isn't always possible without years of experience and expertise. If you're a home owner and your home has some plumbing issues, consider these 5 factors when you're considering whether or not to hire a Professional Plumber in Chandler, AZ. It could save you time and money in the long run.